European imperialists built on the information compiled by the series of adventurers and explorers who charted interior regions of Africa that Europeans had never before visited. Some went to Africa as missionaries. Best known of them was Dr. David Livingstone, a Scottish minister, who traveled through much of central and southern Africa in the mid-nineteenth century in search of suitable locations for mission posts. Was Africa treated differently than other colonies? The economic reasons were, that they wanted raw goods, provide a haven for the rapidly increasing population, and it would provide a place to sell their manufactured goods. The political motives were, colonies could be strategic military sites, they didn't want their rivals to have more lands, they could serve as supply lines. Another reason is to spread their religion. How did carving up Africa lead to tension among the European nations? 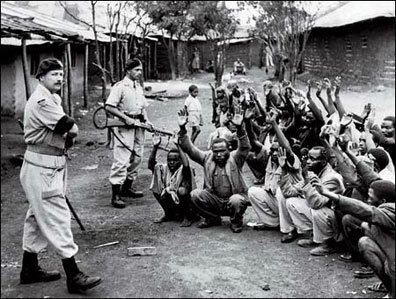 For most of the colonial era Africa was not treated much differently than other colonies, except perhaps less effort was made to develop interests in the interior. This contrasts with India, where the huge territory of the Moghul Empire was largely inherited by British interests, pushing out other Europeans, and South America where the Spanish and Portuguese conquered large territories and created significant local administrations by the 17th century. The wars of Europe drew in the colonies and fighting occurred in a number of places. The German colony of Tanganyika continued fighting the Allies until the 1918 armistice, and afterwards Germany lost its colonies to other Europeans. WW II brought severe fighting to East and North Africa, and thousands of volunteers form the colonies joined the fight there and in Europe.